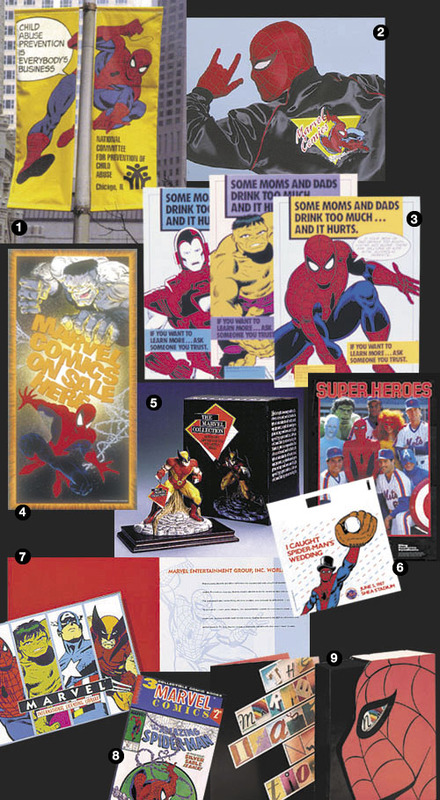 9) Marvel Sales kit that left a 3D Spidey head once it was opened. 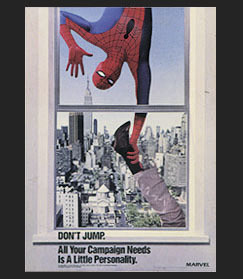 Left>Marvel Comics Trade Ad and poster promoting the use of Marvel characters in ad campaigns. 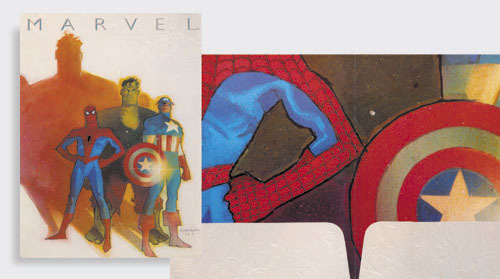 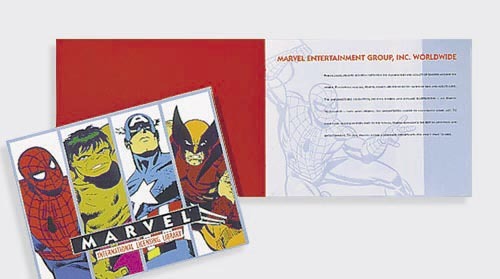 An unusual Marvel corporate folder where we worked with comic artist Bill Sienkiewicz for a new twist on the most famous Marvel characters. 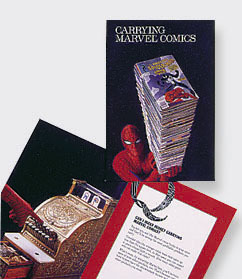 B2B Sales Brochure for an international market.